Internet went out again? You probably know the easiest way to get that fixed is to walk to your router, unplug the darn thing and wait for things to fix themselves. Most of the time it works all the time. But it’s still annoying to have to get up off your couch, so the ResetPlug does it for you. 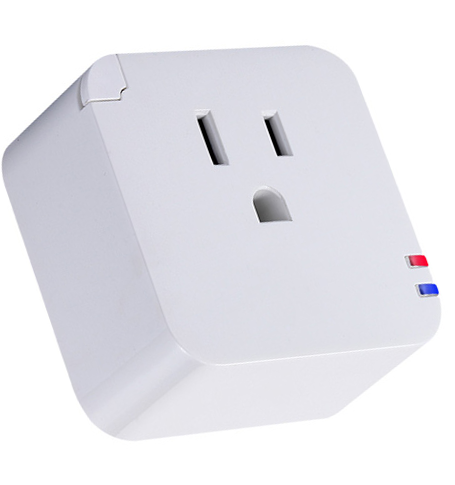 Just plug your router into it, and then the device itself into your wall socket. It’ll connect to your WiFi network after being configured, and will periodically monitor your Internet connection; when it sees it went out, it’ll just cut power to your router, wait a bit, and power back up. It’ll keep doing this until your connection is restored. If you want to monitor more than one device, say a modem and a router, just use a power strip and voila! It’s great not only to save you the hassle of getting up, but if you have any home appliances or devices that rely on a working connection, like security cameras or smart appliances, the ResetPlug will make sure they keep on keeping on even when you’re away from home. It’s $60. By David Ponce on 11/11/15 • Leave a comment! You know how it is: your Internet works just fine from the bedroom, but step into the bathroom for, uh, some quality reading and suddenly your signal drops out. It’s a reality of using a single Wifi router in a larger home, since dead spots will appear in the strangest and most unpredictable of places. But Luma does things differently. 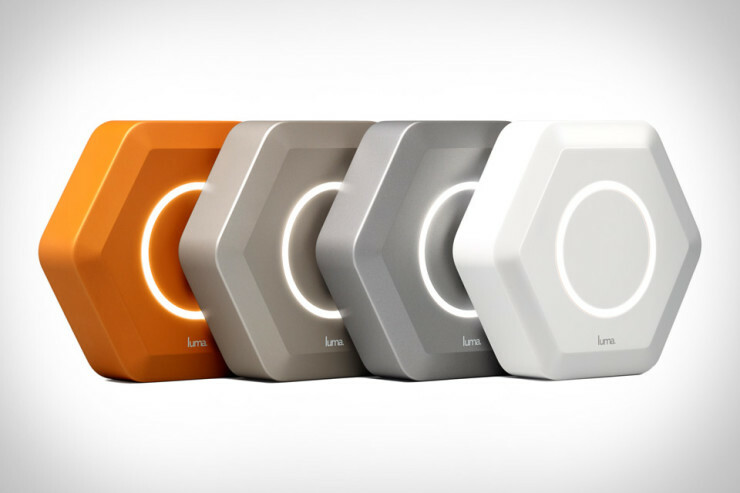 It’s a router that uses several repeaters placed around the house in order to automatically create a mesh network that gives you consistent access from any part of your home. Luma will tell you where to place the units for best coverage, after analyzing signal strength in different rooms. Additionally, you get tons of app-controlled options, like the ability to pause the Internet, schedule time-off periods, grant or deny access to single devices with a swipe, set up a firewall and restrict access to chosen devices, and monitor and track different devices’ usage. 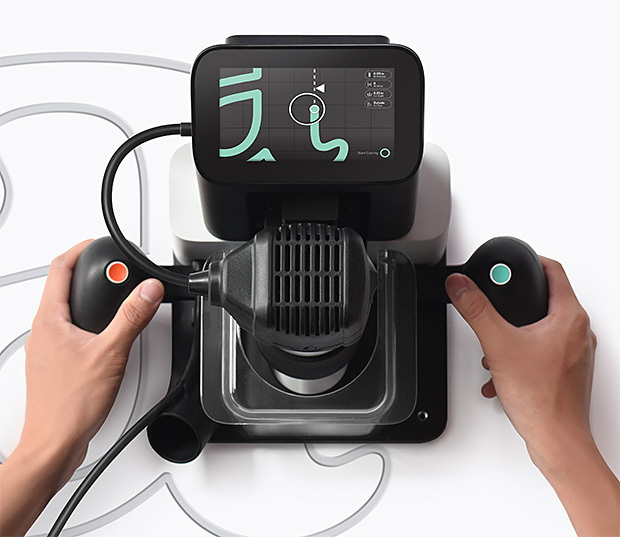 It’s a brilliant system, and since it’s on pre-sale, you can get three Lumas for $249, a 50% reduction on its expected retail price. By David Ponce on 10/28/15 • Leave a comment! With the multitude of devices in most homes these days, it’s a bit of a hassle keeping track of who does what online. 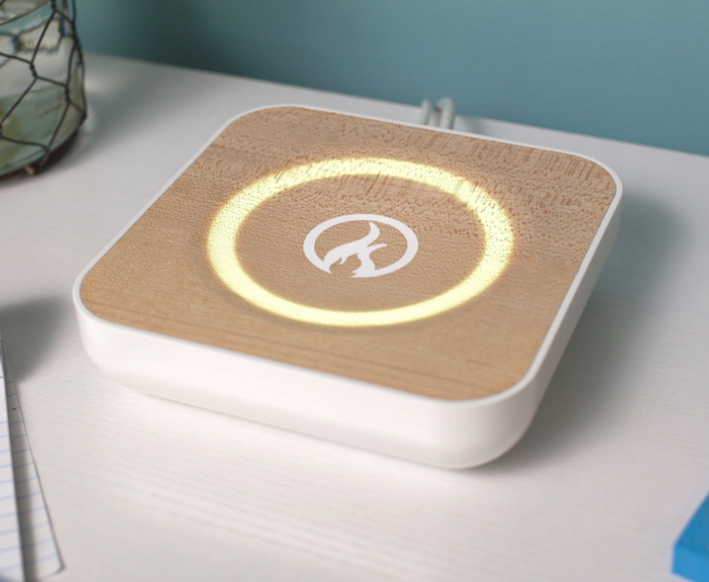 But the Torch Router can help conscientious parents keep tabs on their kids habits, as well as limit what they do online. Other features include the ability to pause the Internet altogether during dinner time or bedtime, and is compatible with most home gizmos and gadgets such as iPad, Xbox, Roku, Apple TV, Sonos, and Nest. A detailed report can break time spent online into categories such as social media, education and gaming, so you have a better grasp of your children’s browsing habits. And since this is all done at the router level, you know they won’t be able to erase their history before you get to it. It’ll cost $200 once it hits retail, but the Kickstarter early-birds can get it for half that price… if the campaign funds. Expect a March 2016 delivery if that happens.